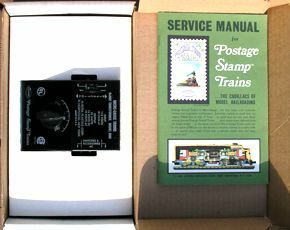 RCA used the same "build a train set" scheme as the one for Shell Chemicals to promote a video tape recorder to television studios. 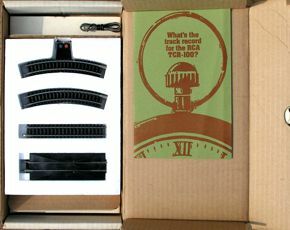 Each month an RCA sales rep would visit a TV studio executive and leave behind one component of a train set. 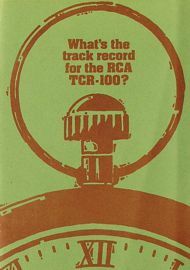 This kept the RCA rep in the exec's face regularly, which was a brilliant strategy. 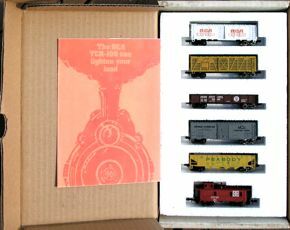 The train set components would be delivered in cardboard boxes containing promotional material for the TCR-100. 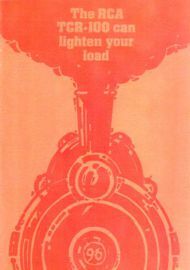 (By the way, this machine was a real monster—see it in action.) 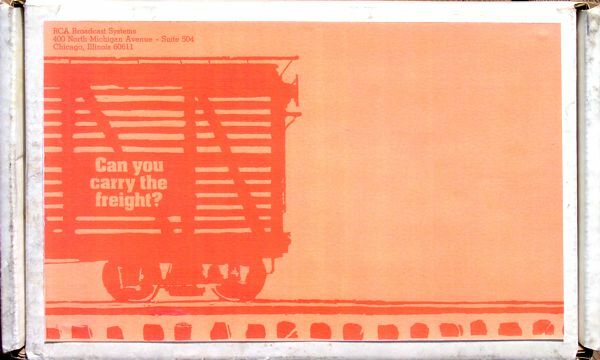 Note that the rolling stock included a Carnation or Hormel refrigerator car decorated with RCA stickers. 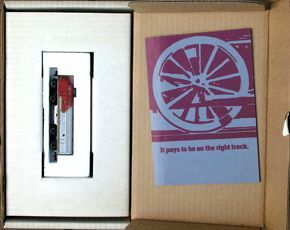 Also, they sliced a Styrofoam tray in half to separate the locomotive from the track. 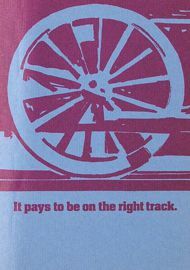 The set is a 1969 Cannon Ball. Photos and information courtesy of Bob Williams.